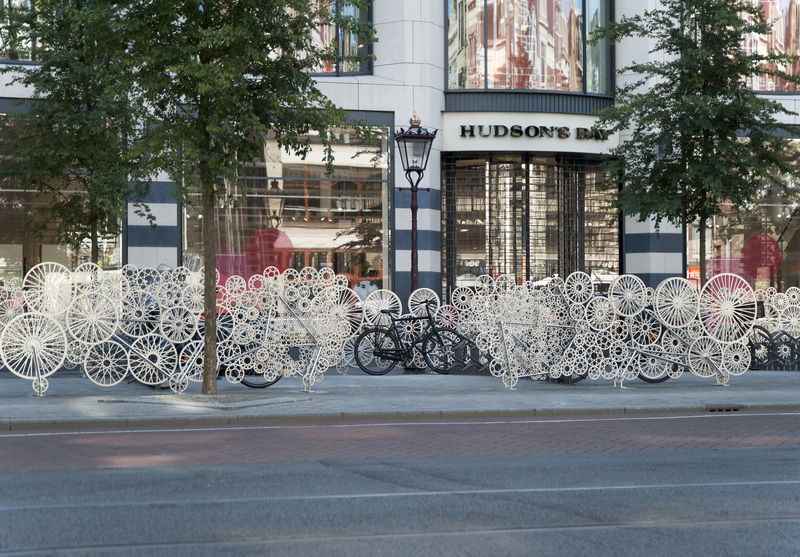 Bicycloud is a prominent installation by Tjep. at the heart of Amsterdam commissioned by the city. This sculptural work has sprung up beside two recently opened metro entrances along the Rokin boulevard as part of the stylish city refurbishment project called: ‘Rode Loper’. 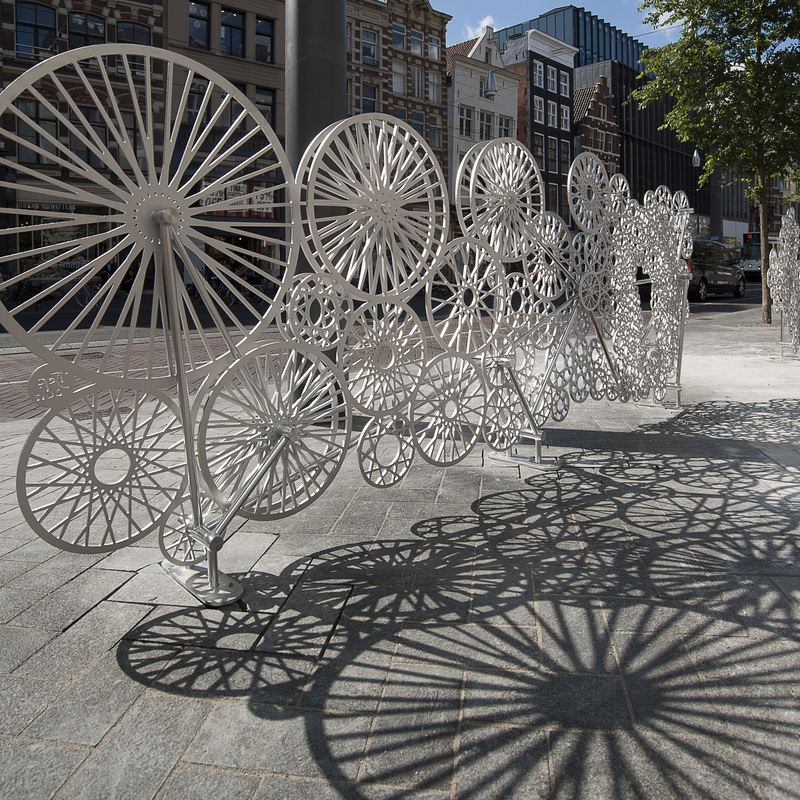 The Bicycloud which stretches over 100 meters is dreamed up as a parametric cloud of bicycle wheels and diamonds. 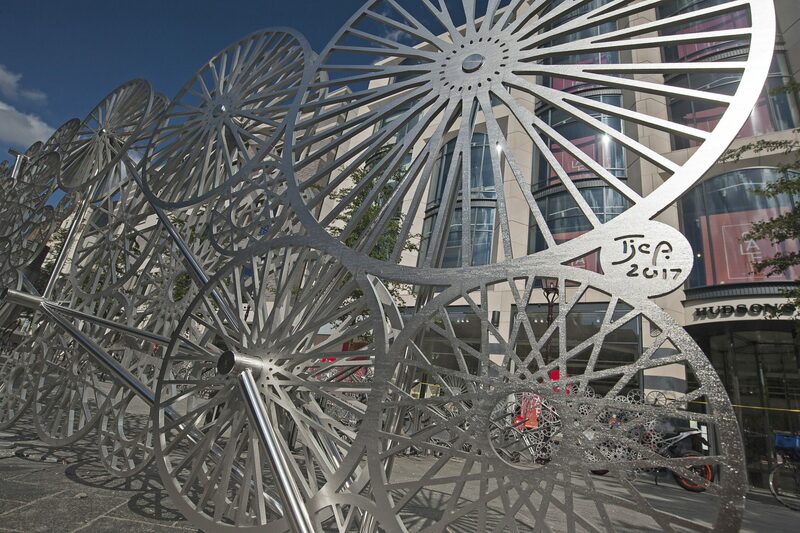 A reference and blending of the two well kBicycloud is a prominent installation by Tjep. at the heart of Amsterdam. 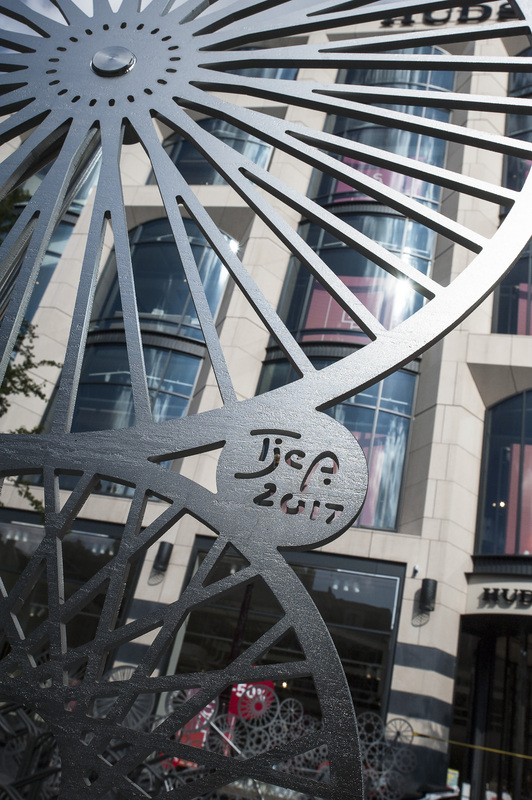 This sculptural work has sprung up beside two recently opened metro entrances along the Rokin boulevard as part of the stylish city refurbishment project called: ‘Rode Loper’ . The Bicycloud which stretches over 100 meters is dreamed up as a parametric cloud of bicycle wheels and diamonds. A reference and blending of the two well known Amsterdam icons. As any true aesthete knows, if you have a big nose, don’t try to hide it, enhance it! 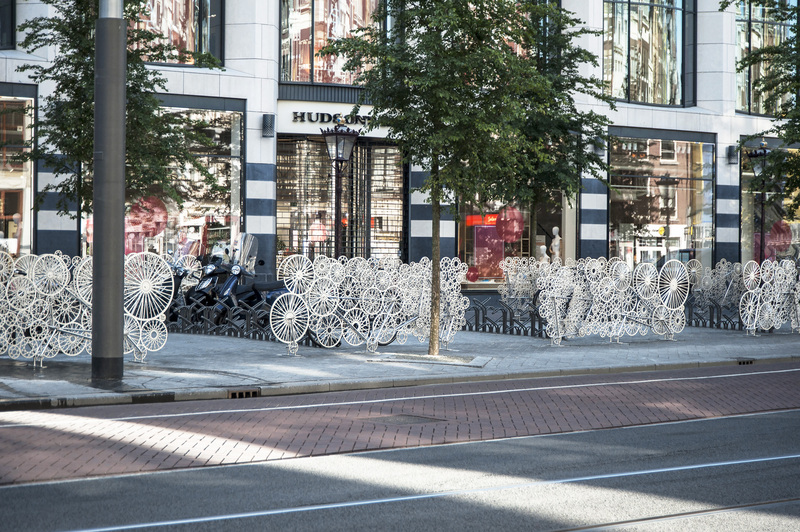 Likewise, here: instead of hiding the metal bicycle mass, the ‘fietsklont’ in Dutch, the fence creates an elegant amalgam with what is often considered as visual noise caused by to many parked bicycles. 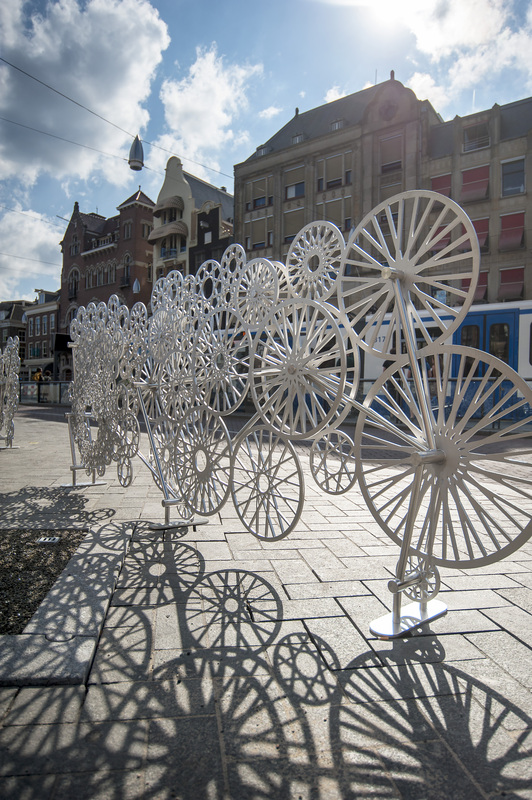 Bicycloud has everything to turn this negative into a positive, thus the installation embraces the chaos of lines and circles by adding a poetical visual layer of circles and lines. An inverted urban bicycle camouflage, so to speak. Rather than drawing each circle by hand, the computer is given instructions as how to create an evolving pattern through an algorithm. 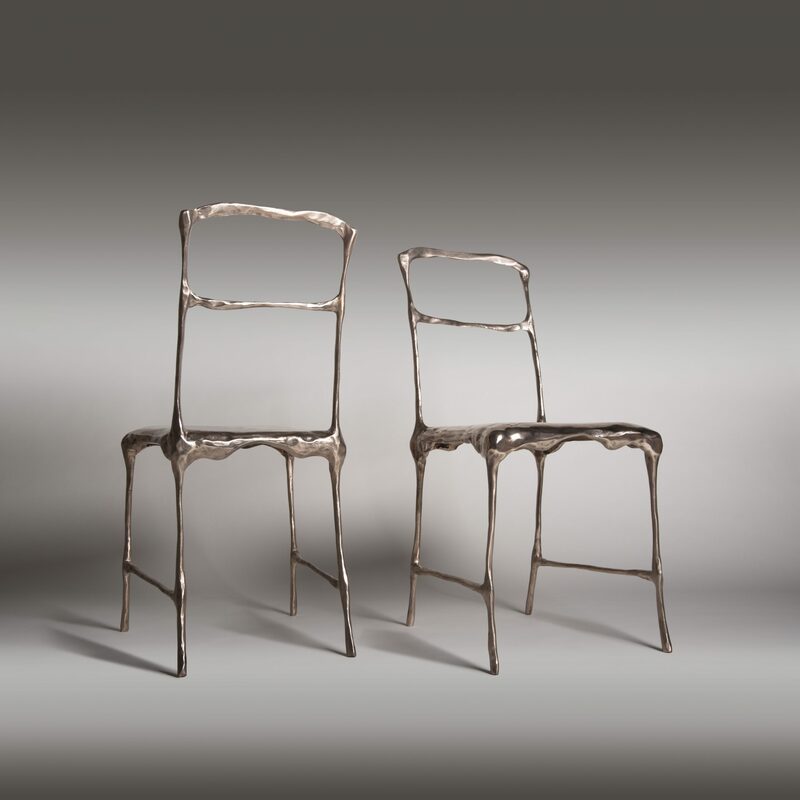 Combining this method of design with computer aided manufacturing gives the ability to have a continuously evolving pattern rather than the endless repetition of identical elements that defines so much of our modernist design heritage. It also give the ability to vary from large graphical elements to extremely refined detailing resembling lace. A level of refinement not often applied on an urban scale to form a generated landscape. 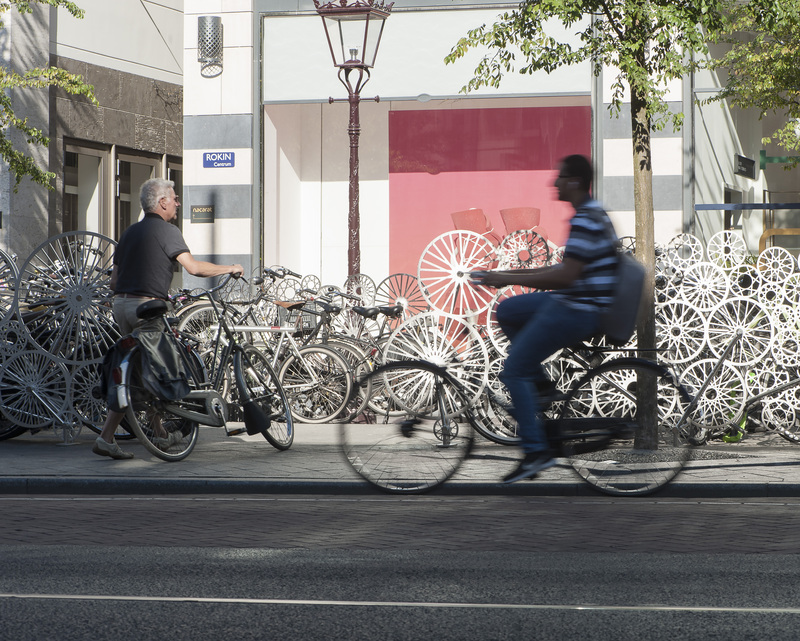 Some facts about the Rokin Bicycle Fence project: 23 tons of stainless steel processed / 25 tons of sand for the water jet cutting process / 1000 hours of cutting in 193 1 cm thick plates (3,5 * 1 meter) / 600 rods in different sizes and diameters have been welded by hand to keep the elements together / electrolytic polishing finish to give it it’s silver shine.